Campen für €20,- pro Nacht auf Ursands Resort & Camping in der Nebensaison mit der CampingCard ACSI. 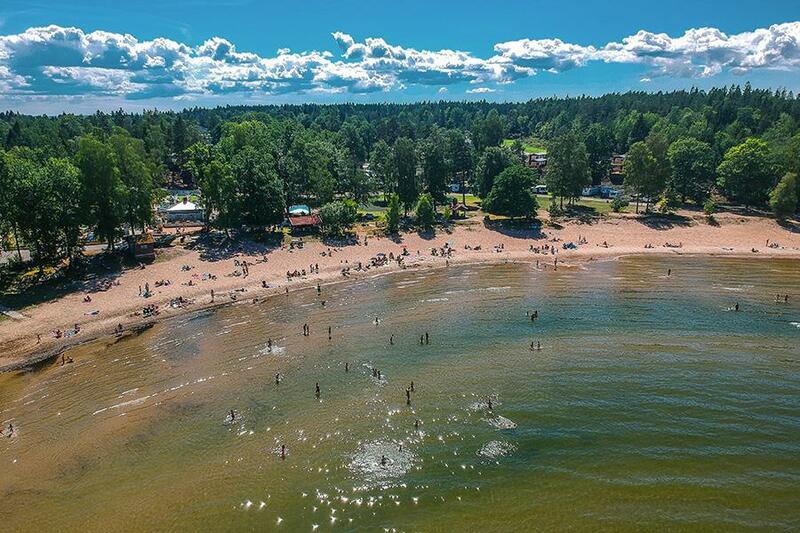 Ursands Resort & Camping in Vänersborg (Västra Götaland) ist ein Camping mit 400 Tourplätzen und 70 Dauer/Jahresplätzen. Mit der CampingCard ACSI campen Sie auf einem der Tourplätze in folgenden Zeiträumen: 01-01-2019 - 06-06-2019 und 18-08-2019 - 31-12-2019. Wunderschön gelegen am Vänern, dem größten See Schwedens. Genießen Sie den großen Sandstrand. Es gibt unzählige Aktivitäten für Kinder. Die schöne Natur ist ideal zum Joggen, Radfahren und Wandern. Restaurant offen 15/6 - 15/8. Prächtiges neues Freibecken (2016) entstanden. Speziell befestigte Wohnmobilplätze. Arrived on the pitch to find that there are 4 areas of the site undergoing building work. There was no mention of this when we checked in. I was given a map showing motorhome services I.e emptying grey water, only to find that this was not available due to the works. When I asked reception what we should do I was told to park up in the surrounding woods and empty the tank there. There is constant noise and dust from the works, none of which are fenced off to prevent accidents. Vans and diggers constantly drive up and down the access road to the motorhome pitches. The lakeside setting is lovely and there is a lot for kids to do but I can\'t currently recommend this for a quiet relaxed stay. CampingCard ACSI schickt Ihre Info-Anfrage an "Ursands Resort & Camping" durch.